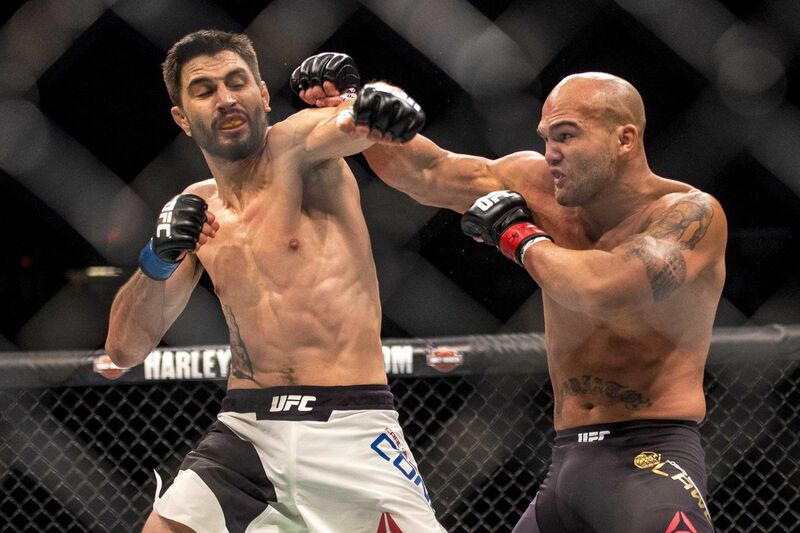 It’s been over a year and a half since Carlos Condit last stepped foot inside the Octagon, but the former Ultimate Fighting Championship (UFC) interim Welterweight champion of the world is back and he is hungry for a win. “The Natural Born Killer” ended his hiatus to compete at the upcoming UFC 219 pay-per-view (PPV) event — which is set to go down on Dec. 30, 2017 inside T-Mobile Arena in Las Vegas Nevada – against Neil Magny. Condit was last seen getting choked out by jiu-jitsu ace Demian Maia at UF Con FOX 21, leading to Carlos taking an extended leave from the sport, citing head trauma concerns. Now, one of the most exciting and talented 170-pound fighters in the history of the sport will look to remind the fight game he still has plenty left in the tank. It won’t be easy, as Neil is as tough as they come. In the lead-up to Condit’s much-anticipated return, UFC released a promo video highlighting his come back and his upcoming bout against Magny for your viewing pleasure. UFC 219 is going to be headlined by a women’s Featherweight bout that will see division champion Cris Cyborg face off against Holly Holm, while Khabib Nurmagomedov and Edson Barboza collide in the co-main event. To see who else is fighting at the UFC 219: “Cyborg vs. Holm” event click here. Hey, remember when Mirko Filipovic said THIS IS DEFINITELY THE END after winning the RIZIN 2016 Openweight World Grand Prix and we were all like “haha yeah okay Mirko” … well, it turns out we had a right to be skeptical. 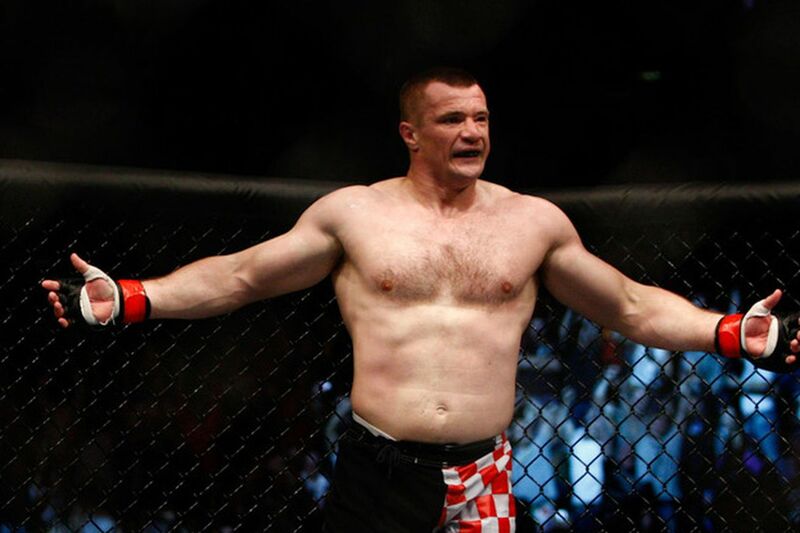 “Cro Cop” is back, yet again. The kickboxer-turned-mixed martial arts (MMA) legend, who was a heavyweight headliner for PRIDE FC and Ultimate Fighting Championship (UFC), among others, will return to the RIZIN ring on Dec. 31 in Japan, according to The Underground. His opponent will be Tsuyoshi Kohsaka because his first choice is too busy doing this. Filipovic (35-11-2) used retirement to skip out on his United States Anti-Doping Agency (USADA) drug test suspension back in 2015 after admitting to injecting growth hormone to repair a bum shoulder. The Croat turned 43 back in September. There were times this summer when the outlook appeared grim for Matt Hughes. Former Ultimate Fighting Championship (UFC) welterweight champion Matt Hughes continues his recovery from a near-fatal truck accident earlier this year, a recovery that would not have been possible without the tireless efforts of the medical staff at HSHS St. John’s Hospital in Springfield, Illinois. That’s why the UFC hall-of-famer recently returned to the facility to honor his attending nurses Ashley Hull and Megan Simpson, who were both nominated and subsequently awarded for their dedication to their craft. It’s nice to have a feel-good story these days. Hughes was hospitalized back in June after the truck he was driving collided with a train. His future was unknown at the time and doctors recommended the “minimally responsive” wrestler be paired with a brain specialist. Just a few months later and Hughes was already back on the mats. While his UFC return is officially off the table, something tells me his unemployment is going to end sooner rather than later. Not sure we can say the same about that other “knucklehead,” but that’s Scott Coker’s problem. When John Castaneda captured a dominant, unanimous decision win over Cheyden Leialoha as part of Dana White’s Tuesday Night Contender Series, the general consensus was that “Sexi Mexi” was going to ride the pine until Ultimate Fighting Championship (UFC) made him an offer. Sorry, he’s got bigger fish to fry. Castaneda will instead return to Combate Americas to enter “Copa Combate,” the historic one-night, eight-man bantamweight mixed martial arts (MMA) tournament taking place on Sat., Nov. 11, 2017 in Cancun, Mexico, with a grand prize of $ 100,000 awaiting the winner. “We are excited to welcome John Castaneda back to Combate Americas, where he has amassed the most wins of any fighter in our young, but fast-growing organization, and delivered some of the most memorable moments ever in La Jaula with his explosive style of fighting and vicious knockout power,” said Combate Americas CEO and UFC co-founder Campbell McLaren. Castaneda (14-2) is no stranger to the Combate brand, having racked up six straight wins with four violent finishes inside La Jaula. That includes last May’s devastating technical knockout win over five-time UFC veteran Chris Beal. The “Copa Combate” tournament will be separated into four brackets with the top four combatants earning seeds based on their respective world rankings, while quarterfinal opponents will be determined via lottery ball drawing. The remaining fighters for this November’s tournament extravaganza, featuring athletes from various parts of Latin America, as well as Spain and the U.S., will be announced in the coming days, along with ticket on-sale dates and information. 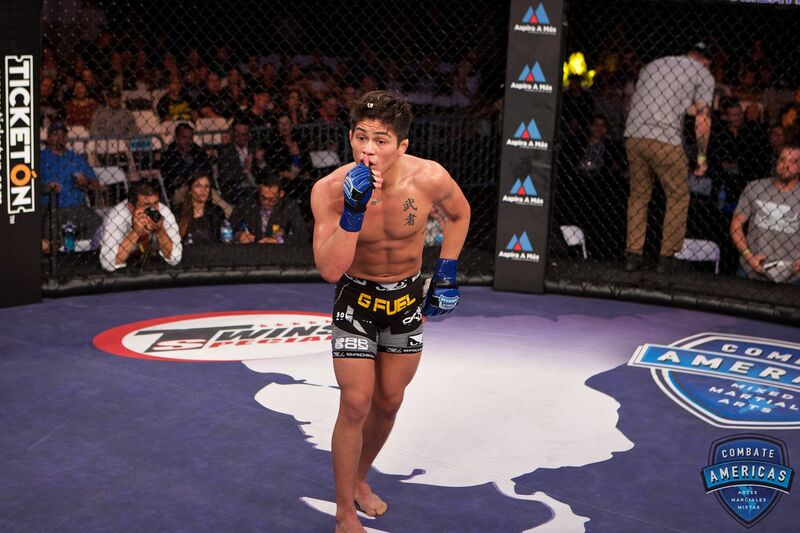 For much more on Combate Americas click here. Sage Northcutt will return to 155 pounds to face Michel Quinones at UFC Fight Night 120. Ultimate Fighting Championship veteran John Howard will return the cage to take on Roger “The Leprechaun” Carroll, headlining for longstanding northeastern outfit Classic Entertainment and Sports MMA. Ultimate Fighting Championship (UFC) lightweight champion Conor McGregor doesn’t need a fight to headline (and sell out) a pay-per-view (PPV) event, one of the perks of being the most popular mixed martial arts (MMA) fighter in the world. “Notorious” conducted a sit-down interview with Ariel Helwani last January in Manchester — nearly causing a riot in the process — and will return to England once again for a second interview with UFC analyst Dan Hardy. 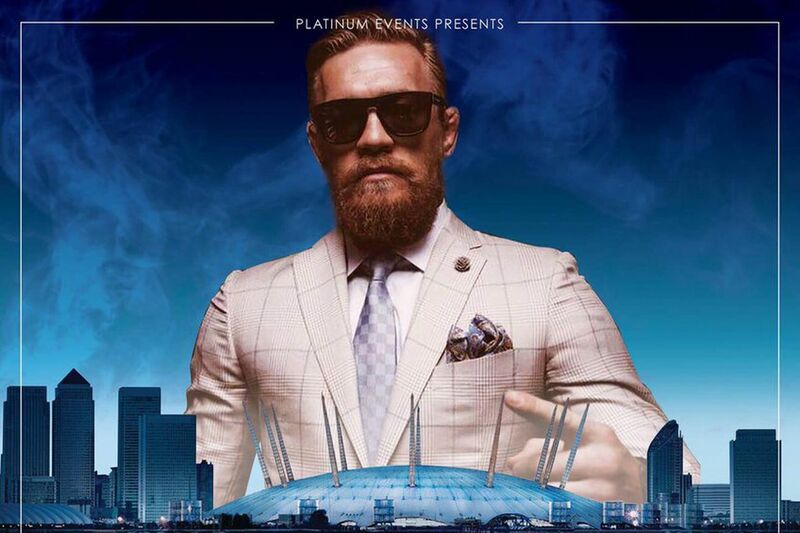 “An Evening with Conor McGregor” takes place Sat., Sept. 30, 2017 inside Indigo at O2 Arena in London, with tickets priced anywhere from £60 to £595. It will also stream on PPV, though a price point has yet to be established. McGregor is probably even more popular than he was the first time he sat down for a chat with fans, thanks to his technical knockout loss in last month’s boxing match against Floyd Mayweather Jr. in Las Vegas, Nevada. An Octagon return is expected later this year and with any luck, his “Notorious” plans will be revealed on Sept. 30 across the pond. Category: MMA Mania / Tags: Conor, London, McGregor, returns, Sept.
Zach Freeman made a name for himself by shocking highly-touted prospect Aaron Pico at Madison Garden. Now he’ll face a Bellator MMA veteran in his second promotional foray. 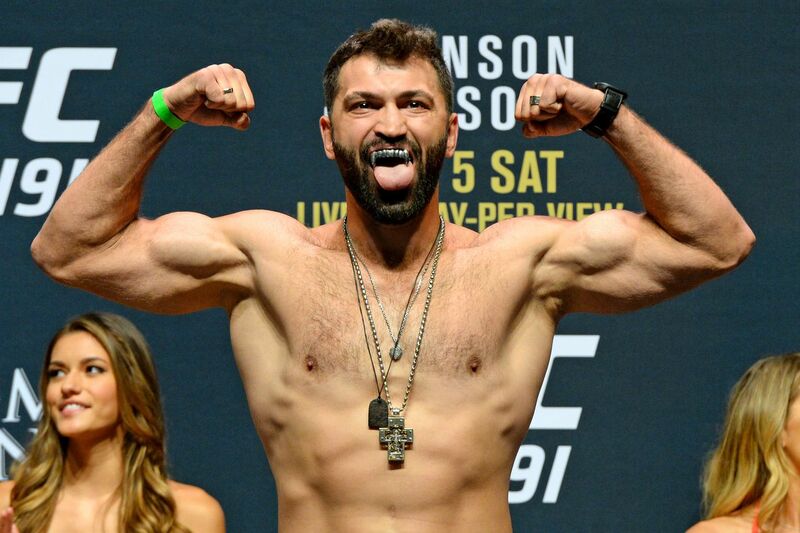 Former UFC heavyweight champion Andrei Arlovski will be back in action when he takes on rising prospect Junior Albini at UFC Fight Night 120 on Nov. 11 live on FOX Sports 1 from inside Ted Constant Convocation Center in Norfolk, Va., per a recent announcement by the promotion. Arlovski, 38, is currently riding a career-worst five-fight losing streak, including a recent decision loss to Marcin Tybura back in June. The UFC veteran last tasted an Octagon victory when he defeated Frank Mir via unanimous decision at UFC 191. If Arlovski isn’t able to get past a youngster like Albini he may be the next name on the UFC chopping block. UFC Fight Night 120 will be headlined by a lightweight showdown between divisional staple Dustin Poirier and former 155-pound champion Anthony Pettis, and also feature a welterweight clash pitting UFC veteran Diego Sanchez against fan favorite Matt Brown. Stick with Mania for more UFC Fight Night 120 fight card news.